If you are looking to buy your very first motorcycle, you are most likely to get influenced by the dealership’s colorful brochures. It can be very confusing for a beginner like you to make a choice for your first bike, as there are so many brands and sizes to choose from and everything is available, from simple and little models to large and heavy motorcycles. If you are having a difficult time choosing what to buy, you might ask this very question: what size motorcycle should I get? 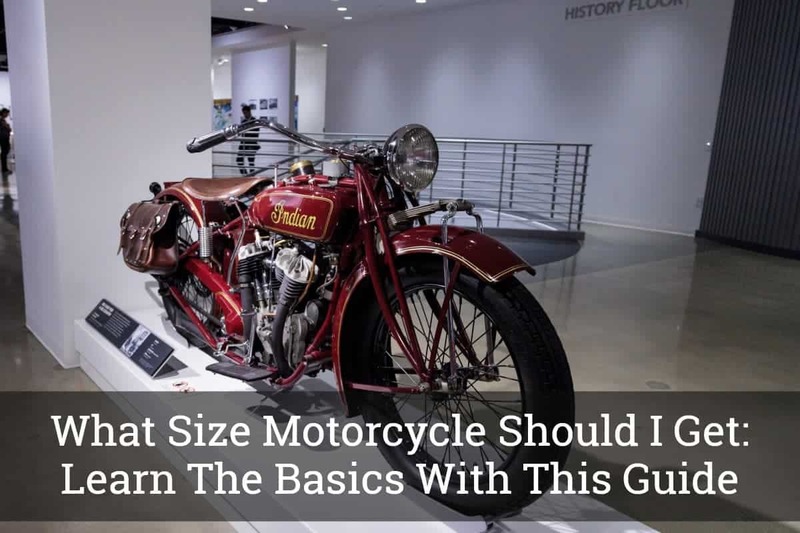 Worry no more, as in this post, we will be talking about what motorcycle size is right for you. To add, there are also factors that you need to consider when choosing a motorcycle, especially for beginners like you. Have you tried sitting on a motorcycle and it did not have the right feel? Is it too high or too low? If it does fit, did you ever feel like you don’t like the balance? There can be a lot of reasons why some bikes are not meant for you and one of them is because of its size. When you don’t find the right feel and comfort, riding a motorcycle can be really unsettling. For you to get the most out of any motorcycling experience, it might be reasonable that you choose a bike that fits your size and height. The best way, in my opinion, is to visit a motorcycle dealer and try getting on it to check the size. Doing this will let you determine the weight distribution from one side to another, as well as the overall feel of the bike. You can also do some self-checking to feel the distance from your foot to the seat, and how it will be easy or difficult for you to reach the ground. To add, you can also check your reach to the hand controls. If you can find the seat’s height measurements on the brochures, it would be a great way for you to compare bikes and you can also check them against your inseam. If you are still undecided on what size to get for your first bike, the easiest and safest way would be to get a 250cc or 300cc motorcycle, practice on that until you get used to it. While it could take a month or two, you can always sell your newly bought motorcycle for the original price you paid for it. Just remember to take safety precautions every time you use it. You might not know it yet but riding a motorcycle that is not the right size for you can be dangerous. As motorcycling is all about balance, your feet should on ground level even if you mount the bike. If the surface is just at the tip of your toes, it offers very little balance and you might end up stopping the motorcycle itself using your feet. Never buy a motorcycle that you cannot sit on with both of your feet flat on the ground’s surface. To add, make sure that you can reach the controls whenever you ride the motorcycle. If you happen to stretch too far just to reach the foot and hand controls, it might not be the best motorcycle size for you. Everyone wants a motorcycle that is comfortable, fast, and could go anywhere and do everything. However, not all types are the same. In this section, we are going to discuss five of the main categories of bikes based on their size. We have narrowed it down to be able to provide you enough information to help you decide what motorcycle will work best for you. Cruisers – This type of motorcycle generally have low seat heights and proves to be a great option for beginners. They do come in a variety of designs, whether you prefer a basic one or an intricately designed one. Sport – These bikes are designed to be aerodynamic, allowing high lean angles, especially in the corners. If you are a beginner, this might not be a suitable motorcycle for you because shorter riders will have the tip of their toes barely touching the ground. Touring – This type of motorcycles are basically the most comfortable ones, designed to be rode for an extended period. However, it should be noted that they are also one of the heaviest in terms of weight. 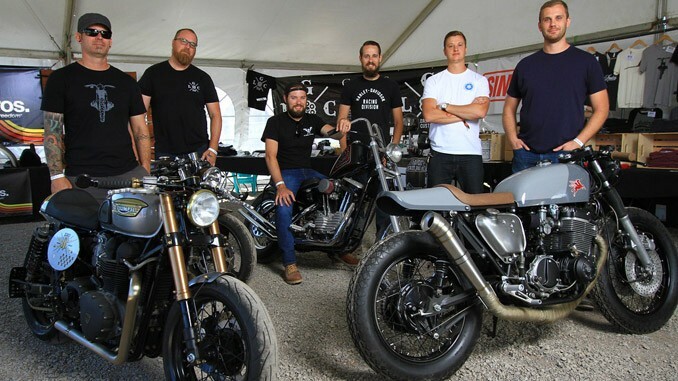 Standard – Standard motorcycles is simply a mix of visual appeal and functionality. While they can do everything that you want on the streets, they are not designed with a specific focus. It comes in different sizes, so you won’t be having a hard time choosing one that suits you. Dual-sport – These types of bikes normally can do all sorts of things. You will be able to take across the country or on the highway. You should be informed, however, that they do come with taller seats due to the off-road clearance. If you are still not sure what to get, you should never shy away from trying to sit on the motorcycle and assess the overall feel and comfort. After you have read this post, we are sure that you will now be able to answer the question, what size motorcycle should I get? It is never easy, especially if you are just starting but with this guide, we hope that we have provided you enough information for you to narrow down your choices.